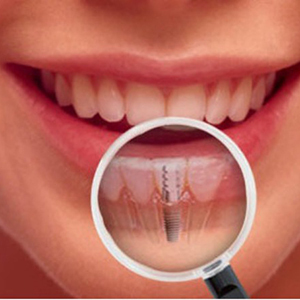 The primary use of dental implants are to support dental prosthetics. Modern dental implants make use of osseointegration, the biologic process where bone fuses tightly to the surface of specific materials such as titanium and some ceramics. The integration of implant and bone can support physical loads for decades without failure. For individual tooth replacement, an implant abutment is first secured to the implant with an abutment screw. 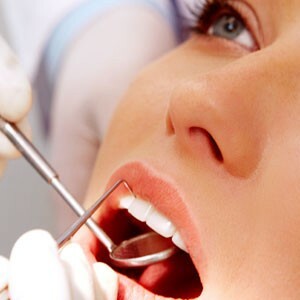 A crown (the dental prosthesis) is then connected to the abutment with dental cement, a small screw, or fused with the abutment as one piece during fabrication. Dental implants, in the same way, can also be used to retain a multiple tooth dental prosthesis either in the form of a fixed bridge or removable dentures. An implant supported bridge (or fixed denture) is a group of teeth secured to dental implants so the prosthetic cannot be removed by the user. Bridges typically connect to more than one implant and may also connect to teeth as anchor points. Typically the number of teeth will outnumber the anchor points with the teeth that are directly over the implants referred to as abutments and those between abutments referred to as pontics. Implant supported bridges attach to implant abutments in the same way as a single tooth implant replacement. A fixed bridge may replace as few as two teeth (also known as a fixed partial denture) and may extend to replace an entire arch of teeth (also known as a fixed full denture). In both cases, the prosthesis is said to be fixed because it cannot be removed by the denture wearer.